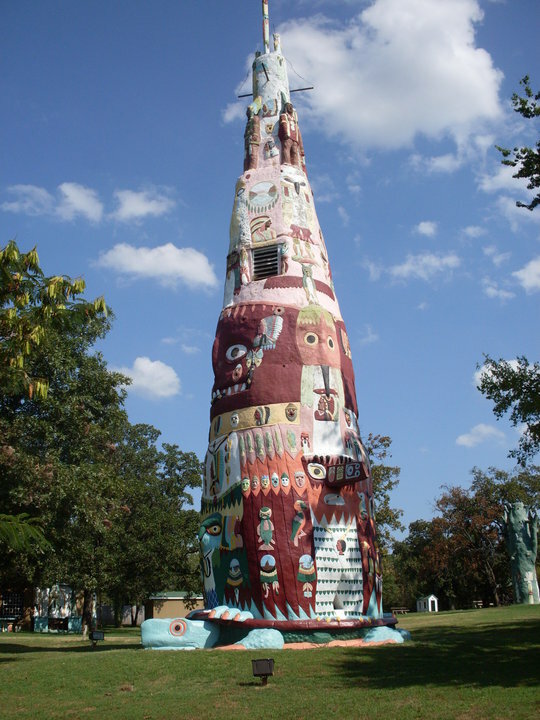 The iconic world’s largest totem pole was the creative concept of Ed Galloway, who developed the park as a monument to the Native American. The centerpiece of the nine acre park, the totem pole, rises from the back of an enormous turtle. The nine acre park also is the home of Galloway's eleven-sided Fiddle House that houses his hand-carved fiddles. Artifacts made by Ed Galloway and visuals of the park's development are on display in the museum. Throughout the park are various sizes of colorful totems, displaying the Indian Folk Art. Stop by today and check out this very interesting piece of Oklahoma’s History!